Although a calculator won't help you learn the basic principles of trigonometry, it is almost indispensable for doing the grunt work.This article will show you how to use the basic trigonometric functions on your calculator. Find the sine, cosine, or tangent of an angle. Simply enter the value of the angle in degrees and push the "sin," "cos," or "tan" button. Convert the sine of an angle into the measure of the angle. Input the value of the sine, then hit the button that says "arcsin," or "sin-1." Convert the cosine or tangent of an angle into the measure of the angle. 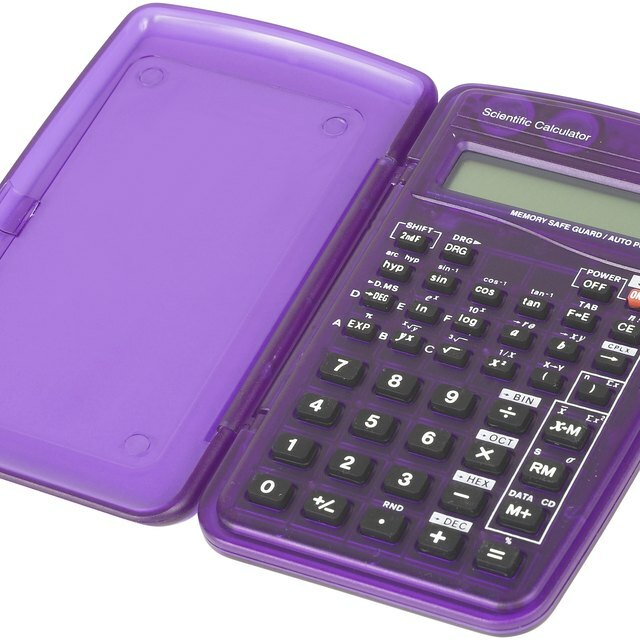 Input the value of the cosine or tangent and press the button that says "arccos," or "cos-1." Learn the definition of multiplicative inversives. The multiplicative inverse of a number is obtained by flipping the numerator and the denominator. For example, the multiplicative inverse of 5 is 1/5. Learn how multiplicative inverses apply to trigonometry. The 6 trigonometric function: sine, cosine, tangent, secant, cosecant, and cotangent can be grouped into three pairs of inversives. Sine is the inverse of cosecant, cosine is the inverse of secant, and tangent is the inverse of cotangent. Press the 1/x button to find the inverse of a sine, cosine, or tangent value. For example, if you know that the sine of angle a is 0.66803, press 1/x to get the cosecant of that number. 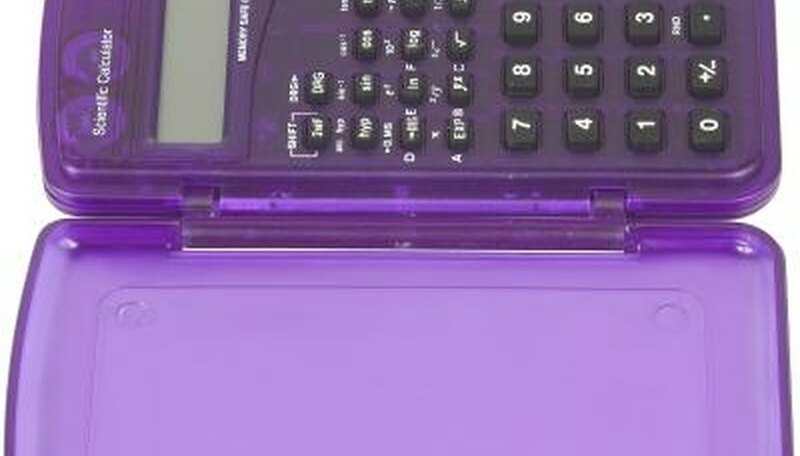 In some calculators, there is no "arcsin," or "sin-1" button. Instead, you have to push a "shift" or "function" key, then push the normal "sin" button. David, Isaiah. "How to Use a Calculator for Trigonometry." Sciencing, https://sciencing.com/use-calculator-trigonometry-2314878.html. 24 April 2017.